Driving under the influence of alcohol or drugs (DUI) is a crime with serious penalties. Prosecutors and police will use many different kinds of evidence to try to get a conviction in a DUI case. An especially important thing for prosecutors to prove is the blood or breath alcohol content (BAC) of a driver. The Commonwealth of Virginia will automatically charge drivers with a DUI if their BAC is .08 or above. Typically, officers will prove BAC by a breathalyzer test or a blood test after someone is suspected of drinking and driving. However, a new opinion handed down by the United States Supreme Court may require that Virginia make changes to its laws around blood testing DUI suspects, as the Supreme Court explicitly stated in Birchfield v. North Dakota that drivers suspected of DUI cannot be blood tested incident to arrest without a warrant. The holding of this case will require Virginia to make some changes to its laws and procedures in order to remain in compliance with the Constitution. 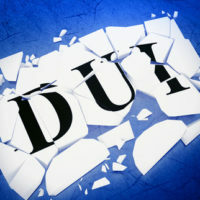 If you are charged with DUI in Virginia, you should contact skilled DUI and DWI attorneys as soon as possible. As noted above, this summer’s decision in Birchfield v. North Dakota affects what kinds of evidence police can lawfully collect during an arrest for DUI. Before this decision, police would sometimes take a blood sample from a DUI suspect when there was probable cause and as part of the arrest process, without either consent or a warrant. Now, while breathalyzers are still allowed without a warrant, blood tests may not be. For example, in 2014 a woman in Bedford County was involved in a crash that injured her and killed a child. Initially the police did not suspect DUI, but when the woman was in the hospital due to her injuries they took blood without her consent and found out that at the time of the accident her BAC was likely twice the legal limit. At the time prosecutors argued that the blood test was allowed because the there was probable cause for a warrantless search. However, the defense argued that the blood test violated the suspect’s rights against unreasonable search and seizure. While the judge allowed the verdict using this evidence to stand, this Supreme Court decision may affect the case on appeal. Another important change that this case may make is that currently under Virginia law, driving on Virginia roads implies consent for drivers to submit to a BAC test. The law allows police to choose between a blood test and breath test when someone is being arrested for DUI, but the Birchfield ruling means that the legislature may have to adjust the language of the law to only allow for breath tests. The laws around what police and prosecutors are allowed to do are changing all the time. That means that it is even more important to work with a knowledgeable defense attorney if you are charged with DUI. Our experienced DUI and DWI attorneys at Simms Showers, LLP in Leesburg, Virginia, will defend you against the charges using the most up to the minute decisions and changes to the law.